Students can use Online Quizzes to effectively study and review for in-class discussions, quizzes, and exams. This page provides instructions on how to use Online Quizzes to review individual questions from previous attempts. 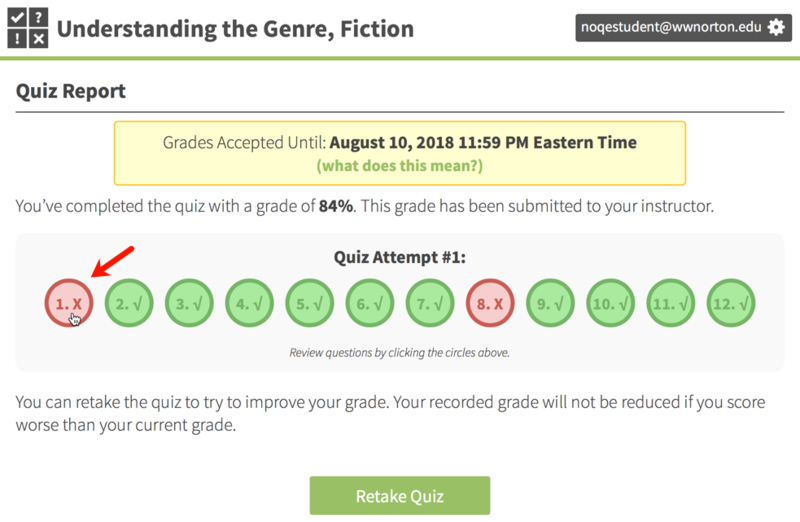 How can I use Online Quizzes to review my work and study for exams? Click on any individual question within the Quiz Report and you will be taken to the Question Review page to review the question without affecting your previous attempt's score. 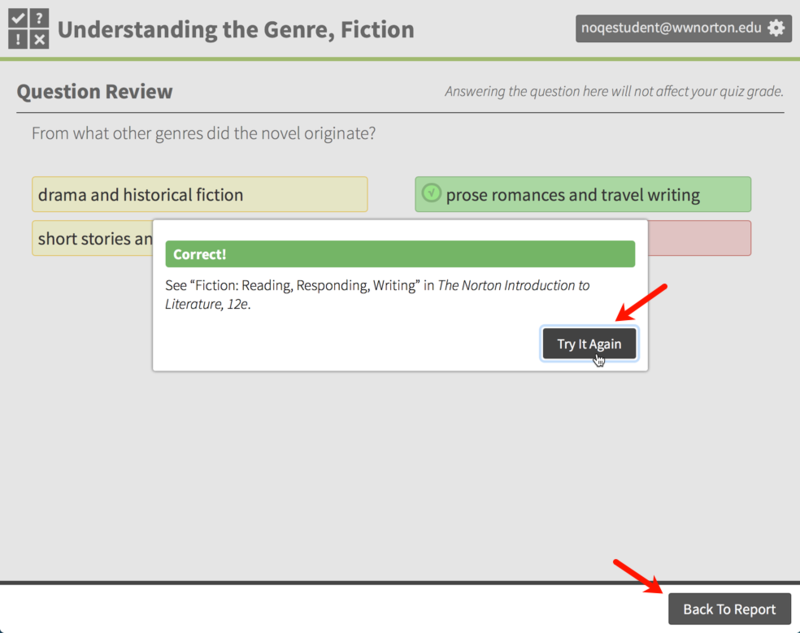 On the Question Review page, you can re-read the question and answers and re-answer the question multiple times without affecting the score of your quiz attempt. 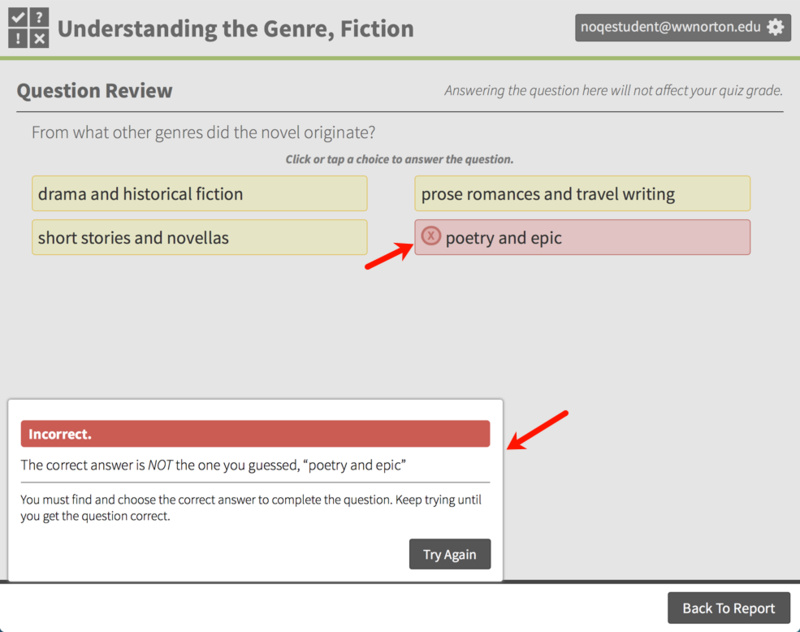 After you've found the correct answer, you can click Try It Again to try the question again or click Back To Report to review more questions from your attempt.